Behavioral interview questions ask you to spill out as to how you have behaved in certain situations in the past. Your responses give the HR interviewer an insight into how you might respond to a similar situation in the future. 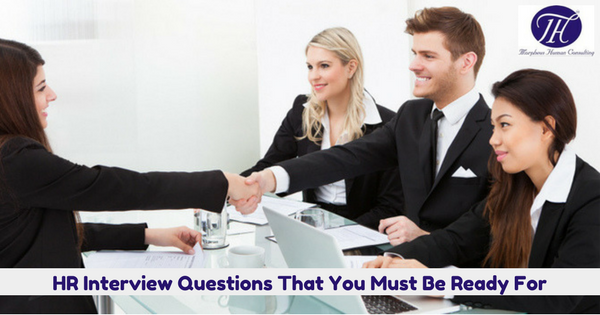 A small mistake in answering these HR interview questions can cost you that job; here are three questions that you must be prepared for. If you feel you must name a figure, choose a salary range that provides some negotiation room, and it is fair based on market value in your industry and city, as thumb rule the top of the range should be a number that would make you very happy (within reason). Can you please explain this gap on your resume. The HR interviewers tend to review your resume carefully and will notice if you have bee out of work between positions, and this is often seen as a sign that one of your job stints didn’t go, as you would have planned for. The career break may be for reasons that may be beyond work performance; your ex-employer may have gone out of business, your division got restructured, etc. However, unless you clarify the interviewers tend to assume that you were fired or left under unfavorable circumstances. If you have a positive or neutral reason for the gap, go ahead and concisely explain it. If it was a layoff that was unrelated to your performance, make that amply clear. If you were let go or there was another potentially sensitive reason for your departure, you’ll have to tread a bit more carefully. The key is to keep your explanation crisp and then make an effort to move the conversation along to more positive topics. In these cases, it’s widespread to get sidetracked into discussing the grisly details of the separation or criticizing your former bosses or coworkers. You must explain what happened in few words and make it clear it’s something that could never happen again. At all costs, you should try to avoid using the word “fired” if you can. Deflect the interviewer attention to your track record of jobs that ended well. If the gap between jobs was lengthy, you should also make it clear that you were keeping busy with up-skilling, volunteering for social work, or taking a break to do your hobby. This shows that you are proactive and energetic. This HR interview question is designed to test your ability to handle conflict and work with different personalities. This question puts you in a spot because it forces you to talk about someone who derailed your apple cart. You have to handle this HR Interview question diplomatically and avoid any sign of negativity of ill feeling. Step out of the zone and try to recollect a situation in which you managed to keep a positive professional relationship with a difficult coworker, manager, client or partner. By answering this HR Interview question smartly, you can help the interviewer see your professionalism and ability to remain calm under pressure. Next Post How to Show Culture Fit in an Interview! !